What does $2,300 rent you in Philadelphia, today? We've rounded up the latest rental offerings via rental site Zumper to get a sense of what to expect when it comes to locating housing in Philadelphia with a budget of $2,300/month. 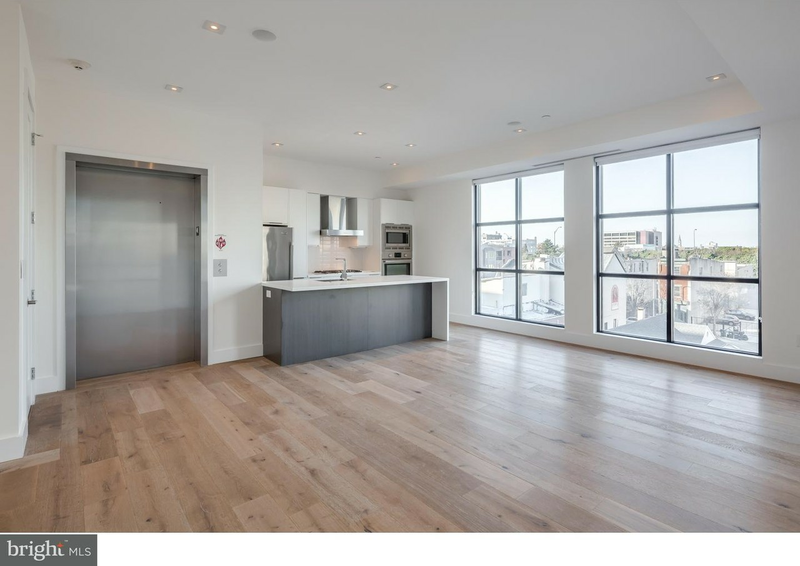 Listed at $2,300/month, this one-bedroom, one-and-a-half-bathroom apartment is located at 2011 Spruce St., #3F. The building offers on-site laundry. In the unit, expect hardwood and tile flooring, stainless steel appliances, granite countertops, a dishwasher, wooden cabinetry and high ceilings. Pet owners, take heed: cats and dogs are welcome. Per Walk Score ratings, the area around this address is a "walker's paradise," is easy to get around on a bicycle and boasts excellent transit options. Here's a one-bedroom, two-bathroom apartment at 2130 Arch St. that's going for $2,295/month. A fitness center is offered as a building amenity. The apartment features a mix of hardwood floors and carpeting, high ceilings, stainless steel appliances, granite countertops, wooden cabinetry, a breakfast bar and in-unit laundry. Pet owners, take heed: cats and dogs are welcome with no breed restrictions. According to Walk Score's assessment, this location has excellent walkability, is easy to get around on a bicycle and has excellent transit. Next, check out this 822-square-foot one-bedroom, one-bathroom condo that's located at 230 N. Christopher Columbus Blvd., #807. It's listed for $2,265/month. When it comes to building amenities, expect assigned parking, a roof deck, a residents lounge and a fitness center. Apartment amenities include hardwood floors and carpeting, high ceilings, recessed lighting, a fireplace, stainless steel appliances, granite countertops, wooden cabinetry and a breakfast bar. Neither cats nor dogs are welcome. Per Walk Score ratings, this location has excellent walkability, is easy to get around on a bicycle and is a haven for transit riders. Here's a 700-square-foot one-bedroom, one-and-a-half-bathroom condo at 240 N. Second St., #6E that's going for $2,245/month. The building boasts on-site laundry, assigned parking, outdoor space, a roof deck, an elevator and extra storage space. In the unit, there are hardwood flooring, recessed lighting, stainless steel appliances, a breakfast bar, a dishwasher and a walk-in closet. Luckily for pet owners, both dogs and cats are welcome.